The electric Chevrolet Volt may be prompting worries about battery fires after crashes, but the people who already own Volts love them. 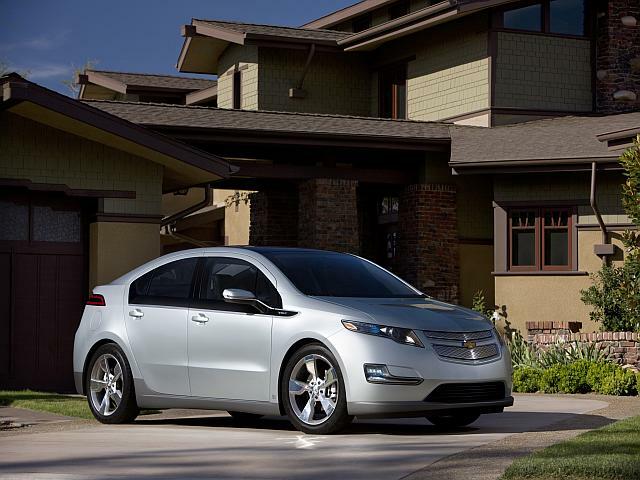 Volt topped all models in the owner satisfaction survey released today by Consumer Reports. A whopping 93 percent of Volt owners said they would definitely buy the car again, edging out sporty contenders Dodge Challenger and Porsche 911, each with a 91 percent buy-again rating. Consumer Reports conducted its survey before the announcement this week that the National Highway Traffic Safety Administration is investigating incidents where the Volt lithium-ion batteries caught fire weeks after being damaged in safety crash tests. General Motors, seeking to mitigate any public relations damage to its most celebrated vehicle, has offered free loaner cars to any Volt owners who are concerned about the fire issue, and has even offered to buy back Volts from any owners who are afraid their car will catch fire. High-profile, high-gas-mileage models like the Volt have gained cachet similar to glamorous sports cars, say the Consumer Reports editors. "Sporty cars and fuel efficient cars with alternative drive trains tend to generate more enthusiasm and loyalty than most other types of vehicles," writes Rik Paul, CR automotive editor. The Consumer Reports ratings were based on responses from 314,000 readers. Other fuel-efficient models with high ratings included hybrid models of the Ford Fusion, Lincoln MKZ, Lexus CT 200h and Toyota Prius. Sporty models ranking well included the supercharged Audi S4, A5 and S5, the Chevrolet Camaro and Corvette and Ford Mustang GT.